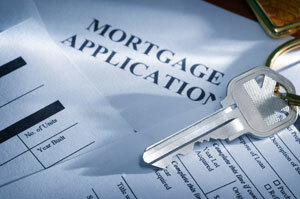 Any home loan not insured or guaranteed by the government is a conventional mortgage loan. They're insured by the government-sponsored enterprises Fannie Mae and Freddie Mac. For in-depth information about Conventional Loans, please visit Lender411's Conventional Loan page. A mortgage loan insured by the Federal Housing Administration (FHA) is an FHA loan. For in-depth information about FHA Loans, please visit Lender411's FHA Loan page. A mortgage guaranteed by the Department of Veteran Affairs (VA) is a VA loan. For in-depth information about VA Loans, please visit Lender411's VA Loan page. FHA Loan: Borrowers with lower credit scores who cannot afford to make a large down payment. VA Loan: Veterans with less than 20% down payment. Conventional Loan: Borrowers with good credit who can afford to make a down payment of 5 to 10%.